Simplify your snow trips with the Burton Step On™ Snowboard Bindings. 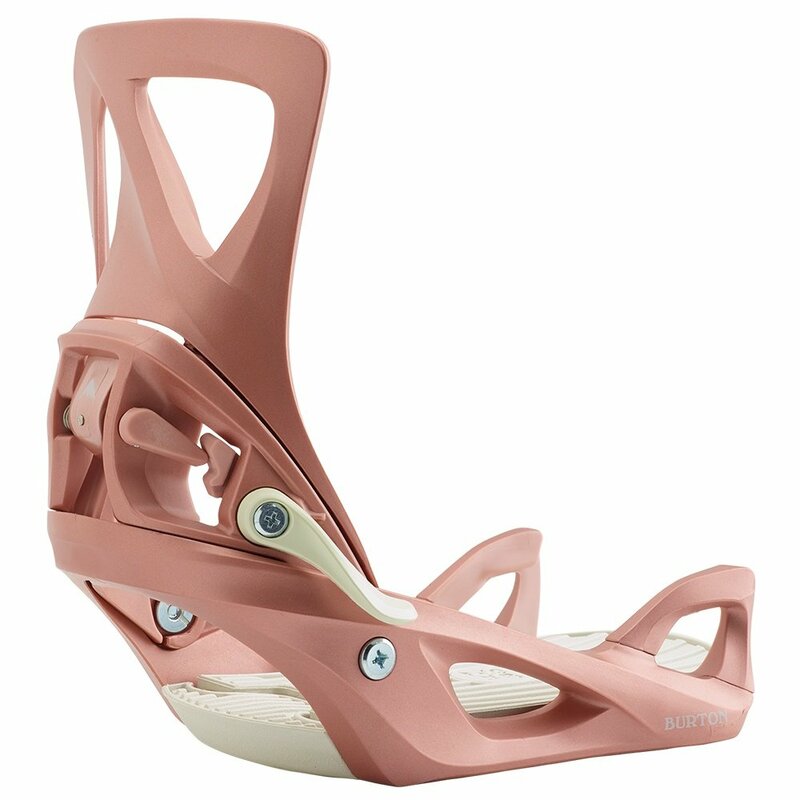 They're designed to attach effortlessly to your Step On™ compatible boots, completely eliminating the need to strap in. The Toe Hooks and the front and locking mechanism at the rear do the work of holding you in place, and your boots do the work of channeling your input down through to the board. But there's plenty of comfort features too, like a FullBED Cushioning System that absorbs impact and vibration, and a Zero Lean hi-back that gives you improved adjustability of stance. "hi, are these the 2018/2019 version. are they compatible with the 2019 limelight boots?" "Thank you for your inquiry. Yes, this "Burton Step On Snowboard Binding" is the 2018/2019 version. These are also compatible with the 2019 Burton Limelight "Step On" Boots. We hope this answer helps with your Peter Glenn selection and purchase." "will these bindings with size 8 step ons"
"A Small binging size is appropriate for a Women's boot size of 4-6. We hope this information helps! "